Soaking up the sights and sounds of Britain can be over-whelming. With so many beautiful places to visit, it takes meticulous planning to come up with an ideal travel itinerary. While you plan your travel itinerary, let TCE take care of your currency exchange matters. With the unique option of ordering online and home delivery, you get the time you need. Pound sterling is simply known as the pound. 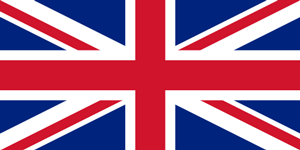 Its symbol is £and it is the official currency of The United Kingdom. Besides the United Kingdom, Jersey, Guernsey, Isle of Man, South Georgia Islands, British Antarctic territory and Tristan da Cunha also use this currency as their official currency. The pound is divided into 100 pence. It is the world’s oldest currency and has been in continuous use since its inception. At TCE, all customers are provided with specialized and superior service. TCE offers the best exchange rates, with no hidden charges, ensuring customer satisfaction. With the best exchange rates offered, TCE ensures that its customers do not over pay. Rather, they end up saving money. The online ordering facility with the option of home delivery makes everything swift and time-efficient. TCE offers home delivery, which is through Canada Post and is within two business days. It is not only quick but reliable, as well.